This pub walk includes the Coastal Footpath with some spectacular scenery and a choice of two great pubs. The Plough and Harrow is full of character and a favourite, appearing in The Good Pub Guide, The Good Beer Guide and the AA Pub Guide. This circular walk extends WALK 1 to include a section of the Coastal Footpath along the cliff tops to Marcross and the Horseshoe Inn there. It has plenty of interest with varied terrain, seaward views, two dramatic coves, some old ruins and a nature reserve. When you reach the beach, take some extra time here to enjoy the impressive rock formations of the cliffs here which are being constantly eroded. The jagged cliffs contrast sharply with the flat rock terraces of the beach which have been worn smooth over the millennia and together these make a dramatic sight. The Plough and Harrow is a very friendly traditional village pub that welcomes visitors as warmly as its regulars. You would not look twice at it from the outside but this hides a very cosy interior. It dates back to 1383 with inglenook fireplaces, beams and heaps of history with tales of the “Wreckers of Wick” storing bodies in the bar so of course a number of ghosts are said to haunt the place. Information leaflets on the tables give more details of its history. Both of the bars have tables for dining and in one of them the tables are large with pews for seating - ideal for groups. It can get busy inside but there are many tables outside too. The food is of a high standard with good sized portions and main courses under £10. We thoroughly enjoyed our Welsh faggots (£7.95), local beef (£6.95) and lasagne (£7.50). Even the sandwiches looked lovely and were served with salad and chips for £4.95. There is also a kids menu at £3.95. 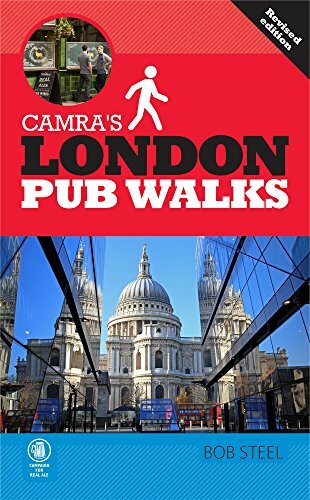 As well as featuring i The Good Pub Guide, The Good Beer Guide and the AA Pub Guide, CAMRA voted it Best Pub in Wales in 2003. It offers real ales and promotes Welsh breweries with a choice of 3 regular beers Hereford Pale Ale, Bass and Otley 01. It also has three guest beers which were Milton Brewery’s Pegasus, Hobby Horse and Brains Dark when we were there. Add to that the choice of 8 ciders and you can see why CAMRA like it. This pub walk offers varied terrain with views over the Bristol Channel, an impressive cove and a woodland route through a nature reserve. Finish off at a character pub appearing in The Good Pub Guide,The Good Beer Guide and the AA Pub Guide. This pub walk includes the Coastal Footpath with some spectacular scenery and a choice of two great pubs. The Horseshoe Inn is a traditional village pub.